Calling all dog-lovers! 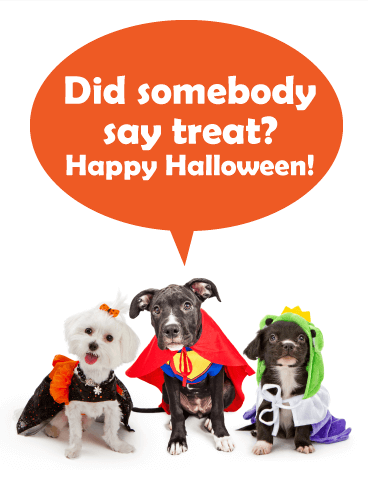 Do you dress your doggies up in costume for Halloween? 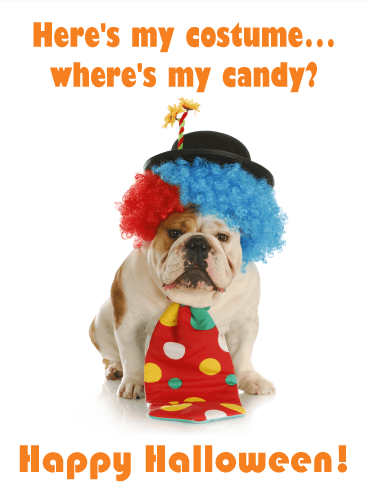 Do you let them greet trick-or-treaters at the door? 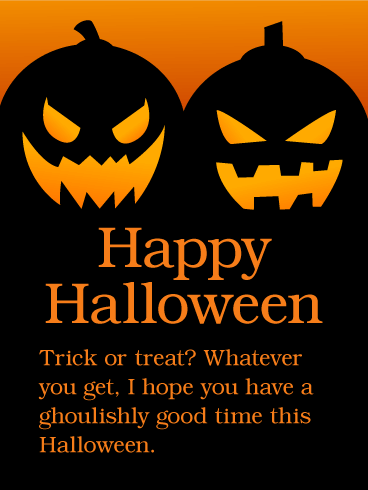 Then this happy Halloween card will surely appeal to you! Two adorable pups are all dressed up for the holiday in their silly costumes. Traditional Halloween images form the background of the greeting. 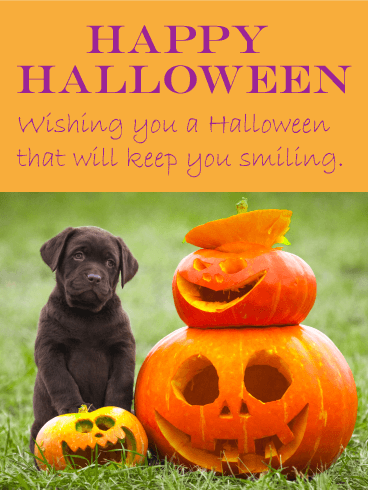 This happy Halloween card is perfect for friends, co-workers, or family members who also make their pups a part of their family. 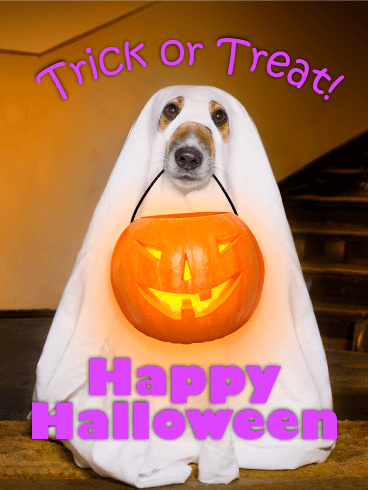 This whimsical happy Halloween card is ideal for all dog-lovers! 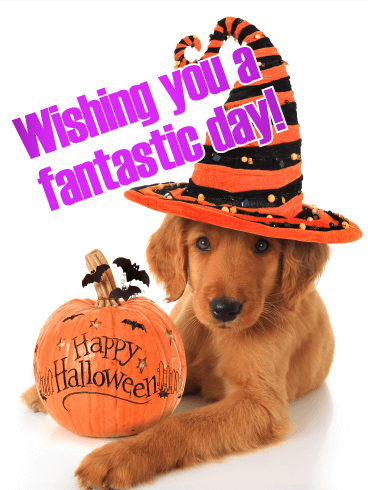 Who can resist an adorable golden retriever puppy in a silly striped witch's hat? 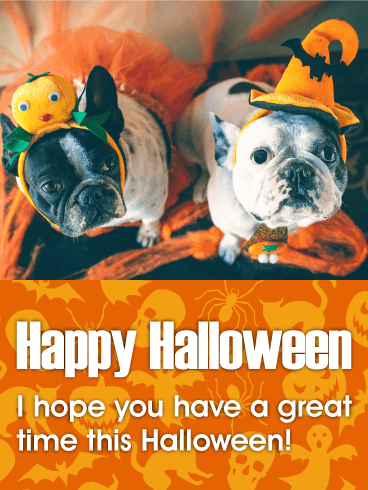 Combine that with a pumpkin decoration and a message wishing your recipient a fantastic day, and you have yourself one awesome Halloween card. 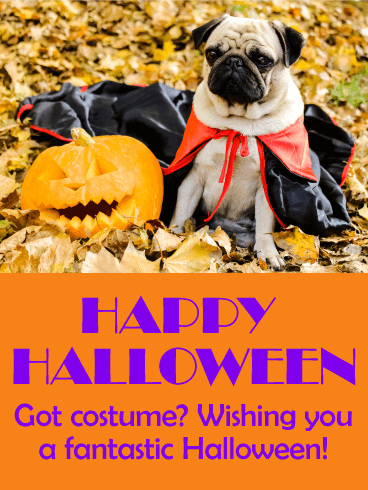 Remember your family and friends on this autumn holiday by sending them this cute happy Halloween card.